It’s time for a confession. I’m a product junkie who hates to throw things away. If I love a product, I will use 90% of it and then hoard the rest. Why? I have no reason. I literally have 3 bottles of my favorite leave-in conditioner in my favorite box. 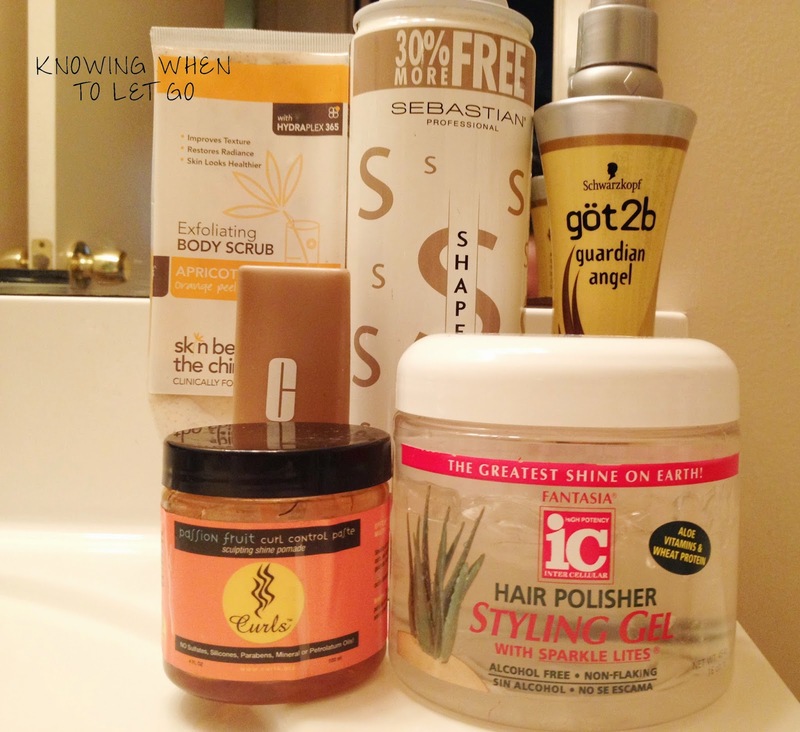 Because yes…I have my hair products divided into sections. Everyday Hair loves, Like ‘Em and Hate ‘Em. The same thing applies for my bath and body products. I have a lot of bins and a very patient husband. Ha! After a quick look under the cabinet, I decided it was time to throw some things away. And then publicly shame myself in hopes that I will break this habit. Curls Passion Fruit Control Paste– Love it and need to buy more. The packaging is completely different now because mine is three years old. I’m just going to toss this before my hair falls out. Clinque Perfectly Real Makeup- Oh dear, why is this still in my arsenal? 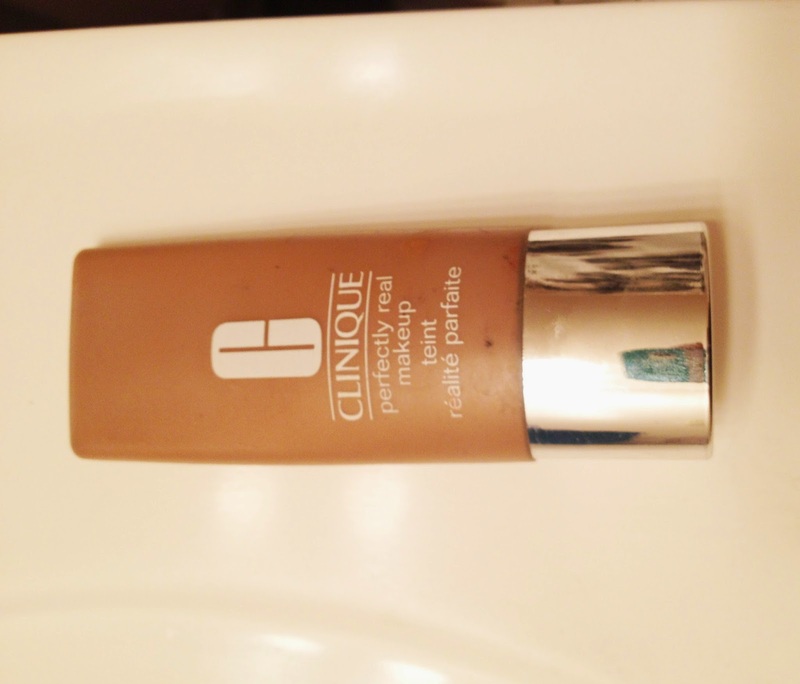 I wore THIS foundation on my wedding day. That’ll be five years in December. Trash. Don’t worry, I haven’t used it in years. I’m not even this shade of brown anymore. 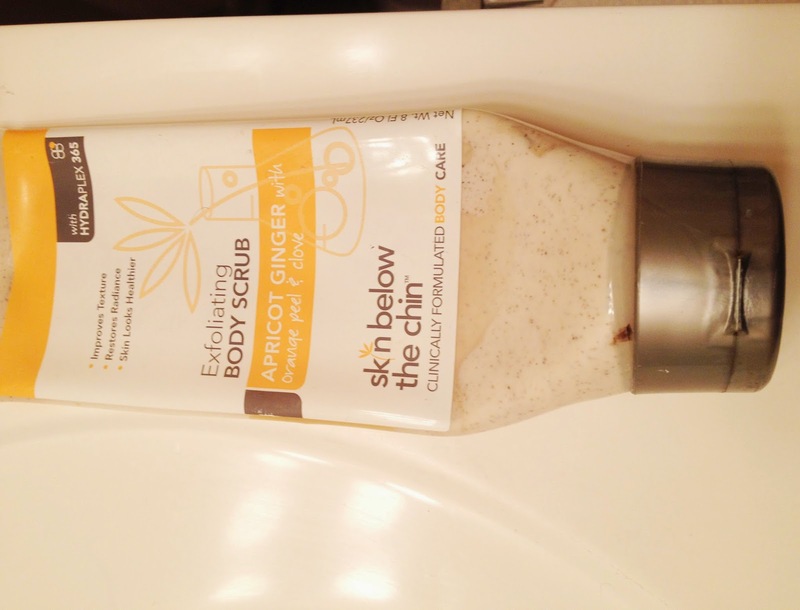 Skin Below the Chin- I hate this stuff. I’d rather smash a glass, grind it into a fine powder and exfoliate with it then use this product. Its been collecting dust for about three years. I know that it looks like I’ve used a lot but no. I had friends try it to see if it was “user error” on my part. We all ended up with scrapes on our legs from the huge chunks of whatever the heck they use. Trash. Also tossed were a bottle of Sebastian hair spray that I loved when my hair was relaxed in 2009 and a bottle of Flat Iron Balm. My first Liebster post is coming later today! 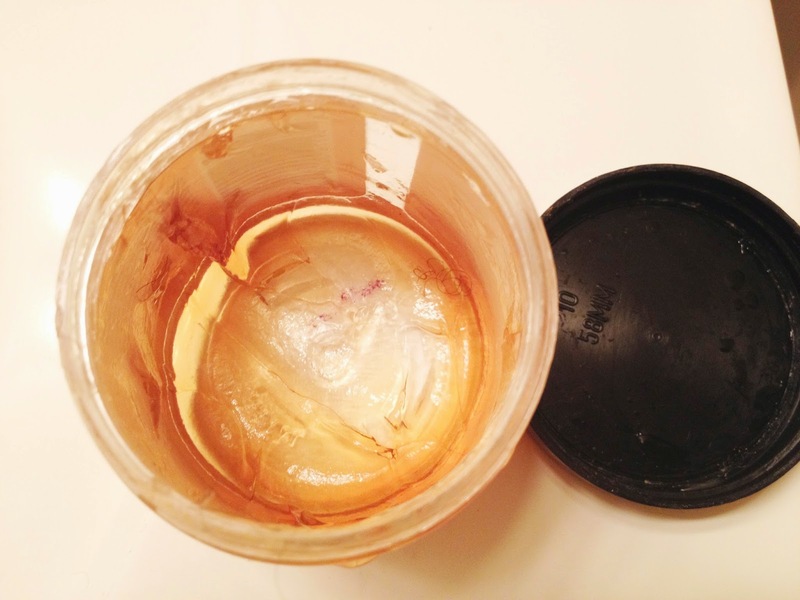 Is it time for you to kiss some items goodbye? In collaboration with The Dollar Shave Club. I have so many products that I can't shut my cabinet door sometimes – & I don't use 95% of them… the garbage day is coming. I love your line “Why? I have no reason.” It made me LOL. I don't like throwing stuff away either. It's so expensive. LOL I do this too! It's a terrible habit! LOL! Yeah…toss 'em! I felt liberated…and a little hurt…but mostly liberated. Packing yesterday I threw away 5 bags of junk that I probably haven't touched in 5 years! This is so me!!! I hoard products and make-up. I threw away a ton of stuff 2 weeks ago. Lipsticks, half used body lotions, hair products that I no longer use….admitted product hoarder. Yes! That is the best part about packing…the purge. We can change. The first step is to admit you have a problem. Haha!